Insane skills under fire. Crazy winners at the death. A rollercoaster of high drama. It had it all. 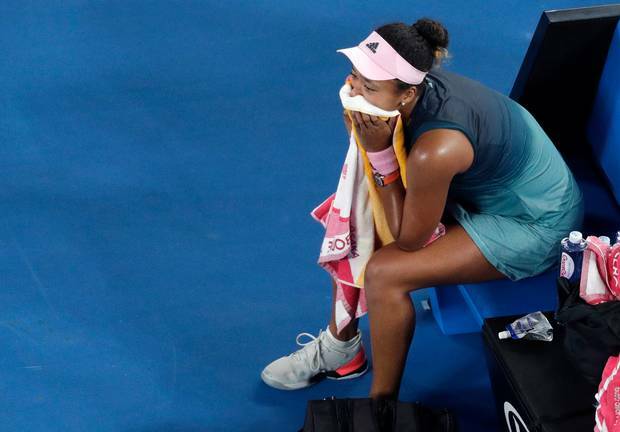 Naomi Osaka's second set meltdown had the tennis world fearing a complete mental breakdown for the 21-year-old when she walked off court crying, hiding her head under a towel. Instead, it was simply the turning point in one of the most unforgettable finals tennis has seen. After failing to serve out the match in the second set and missing three match point chances, Osaka had to do it the hard way in the third set, finally securing her second consecutive grand slam crown 7-6 5-7 6-5 in two hours and 27 minutes. 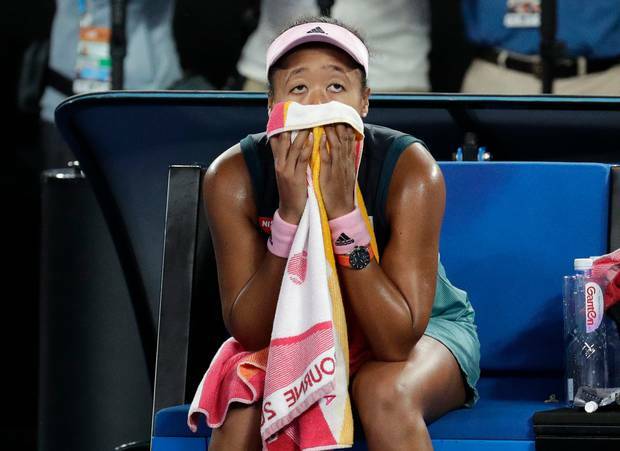 Osaka's failure to convert all three match points when leading 40-0 on Kvitova's serve at 5-3 in the second set had set the scene for a narrative of an epic choke. Instead, Osaka's brave fightback ensures all the focus will be on her mental fortitude instead of her mental frailties. Osaka appeared to be broken when she walked off court after Kvitova ripped through four straight service games to claim the second set. The Japanese star left the court wiping away tears and the match appeared over — at least in her head. Kvitova then took the first game of the third set and appeared to be on her way to her first crown since she was forced to take a break from the game following a knife attack home invasion in 2016. It wasn't over. Osaka struck on Kvitova's next service game to take an early 3-1 lead. It was all she needed to eventually win the Australian Open for the first time, holding her nerve and her serve to reach the finish line in the exact same circumstances where she choked in the previous set. Naomi Osaka completely losing the plot here... 3 championship points off the serve of Kvitova. Then had opportunity to serve for the match. The incredible fightback left the tennis world stunned. According to many tennis commentators, Osaka's mental strength was still up for debate, despite her chaotic US Open championship win over Serena Williams. To the doubters that claimed Williams choked, rather than Osaka soared, Osaka can now present the undeniable evidence of her Australian Open final courage. There were claims she choked because she remains just 21-years-of-age. It was her youth that brought her to the brink, and her increasing tennis maturity that pulled herself back. "These moments are all about character tests," tennis legend Jim Courier said. "Kvitova has already passed the biggest character test ... coming back from what she suffered from — a home invasion, the near loss of her professional career. Osaka, it is difficult to compare and I don't really want to but her first grand slam win was easy, relatively speaking for her. "But the fact that she has been in a winning position and got herself back into a third set. We are going to learn a lot about the character of Naomi Osaka, a different type of challenge for her." The firestorm that was that US Open final forged Naomi Osaka into the hardest steel. Tonight, this is just tennis, and she's more than ready for it. New York Times tennis expert Ben Rothenberg suggested midway through the match the controversy Osaka had been forced to deal with at Flushing Meadows last year — when Williams exploded and accused the umpire of bias, ruining Osaka's biggest career achievement to date — had actually hardened her to withstand moments of adversity like she eventually overcame on Rod Laver Arena. We learned the Japanese star she has the head and heart of a champion. "What has really impressed us is the maturity that Naomi Osaka showed throughout the match," Aussie great Alicia Molik said on Channel 9. "The way that she had to mentally battle, to continue to come at Petra Kvitova. She is not showing much emotion, but we can see the glaze over her eyes, what it means to her." Kvitova showed more emotion in defeat than Naomi Osaka did in victory — none of it was negative. The Czech star was all class even as tears appeared in her eyes when thanking the team that has stuck with her in her comeback from two years ago. "It's crazy. I can hardly believe that I just played in a Grand Slam (final) again," she said after making a slam final for the first time since 2015. "It was a great final. Well done to Naomi Osaka. To your team as well. You really played well and you deserve to be number one as well. "To my team, thank you for everything. But mostly, thank you for sticking with me even when we didn't know if I would able to hold a racquet again. Every single day you have been supporting me and staying positive for me, which I really needed. It probably was not easy, so thank you." 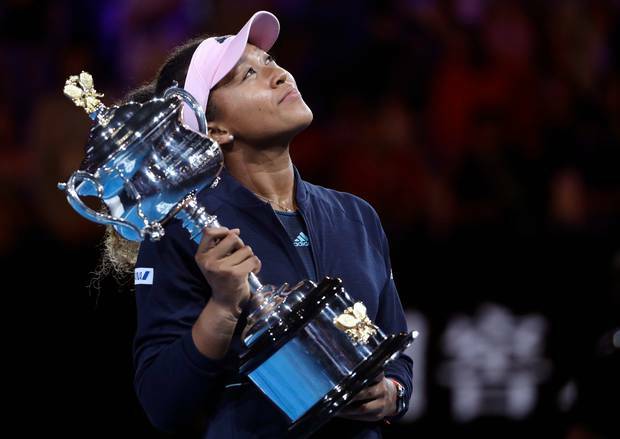 Osaka was composed in victory, showing more anxiety than emotion when stepping up to the microphone on Rod Laver Arena with the Daphne Akhurst Memorial Cup in her hands. There was speculation Osaka couldn't let herself enjoy the moment, still kicking herself that she almost let the match slip through her fingers in her second set meltdown. "Sorry, public speaking isn't really my strong side," she said. "So I just hope that I can get through this. Huge congrats to you Petra. I've always wanted to play you and you have been through so much. Honestly, I wouldn't have wanted this to be our first match. Osaka also praised her team, saying: "I really don't think that I would have made it through this week without you guys. Behind a tennis player is always a team and I am really grateful, so thank you guys. "I read notes before this but I still forgot the rest of what I am supposed to say. Just thank you everyone and I am really honoured to have played in this final." Osaka's win means she is now the World No. 1 player — the first Asian player (man or woman) to ever reach the rankings summit. The win also means Osaka is the first player since Jennifer Capriati in 2001 to win back-to-back slam titles after debuting as a major champion.